Aims to develop the use of methane-based fuels from renewables in a number of applications - including ships. A new project funded by the German Ministry of Economic Affairs and Energy (BMWi), MethQuest, aims to support the country's energy transition via the use of methane-based fuels from renewables. A total of 27 scientific, industrial and business partners are to collaborate on research and development work over a period of three years in six joint projects. The official go-ahead was given by the Federal Government's coordinator for the maritime industry, Norbert Brackmann, at the launch meeting held on September 14 in Friedrichshafen. In the MethQuest lead project, technologies are to be developed and analysed that will enable methane-based fuels from renewables to be used in a number of applications - including ship propulsion systems - and subsequently launched onto the market. 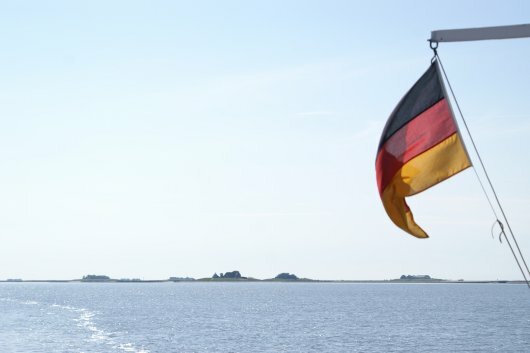 Referring to a case study on the Port of Karlsruhe, the project coordinators explained that the purpose of the project will be to determine how electricity, gas and heat can be produced locally as required and supplied to end users, and that this would include local barges and port infrastructure. Dr. Frank Graf, Director, Gas Technology at the DVGW Research Centre at Engler-Bunte-Institute of Karlsruhe Institute of Technology (KIT) said the six joint projects "will achieve an innovation boost in numerous areas", including the development of new engine concepts for ship propulsion systems. Andreas Schell, CEO of Rolls-Royce Power Systems, remarked: "As a solutions provider, we have been pushing ahead with the use of alternative fuels, the development of new MTU gas engines and the further electrification of both propulsion systems and energy systems with our Green and High-Tech initiative for a long time. We have been successful in doing this only as a result of our close collaboration with strong partners, such as those involved in this project. We are therefore extremely delighted that we will now be able to increase our expertise in the two joint projects MethPower and MethMare in a leading capacity, in addition to making a contribution in the joint project MethGrid and together with all the project partners."